This equity participation is expected to foster the development of the housing sector by making it more affordable and accessible to majority of midde and income people in the country. Speaking last week during the handing over ceremony of a dummy cheque in Dar es Salaam, TMRC, Managing Director, Oscar Mgaya said the partnership between the two firms brings the shareholding of Shelter in TMRC at almost 11.06%. “We are glad to see some actions are being taken by various stakeholders to revive mortgage financing in the country,” he said. 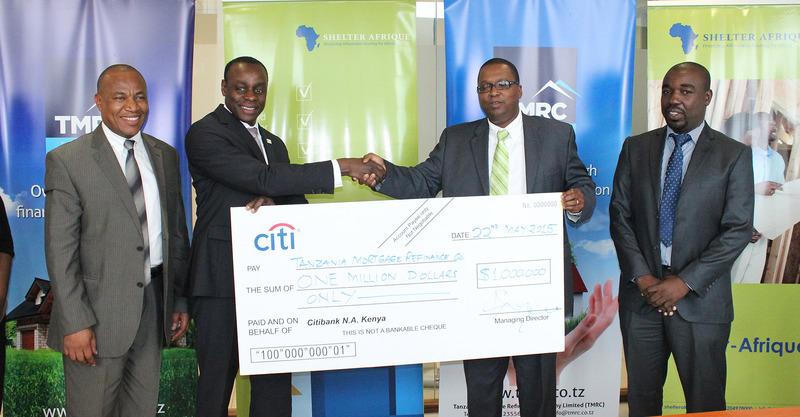 James Mugerwa (right), the Shelter Afrique Managing Director said theTanzania mortgage market is growing. As at December last year a total lending by banking sector for the purposes of residential housing was $141.7 million (Tsh 248.35 billion) which represents an annual growth of 59% in the sector. “The African Development Bank (AfDB) groomed us as a premier housing finance institution on the continent and with a mandate to make housing more affordable and help member states close their housing deficits,” he said. 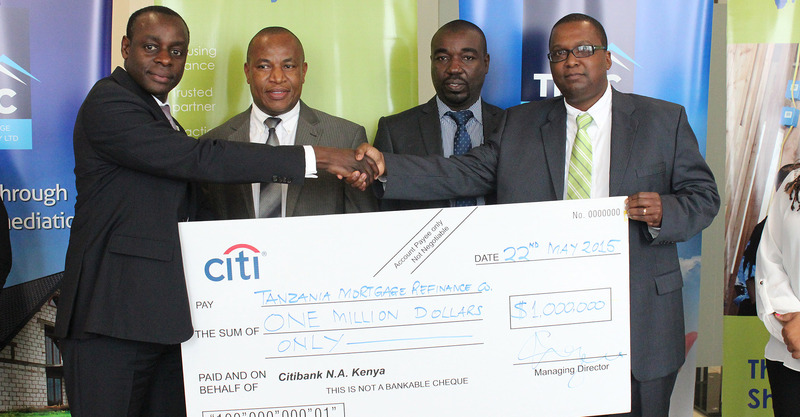 Mgaya said, “The government through the Ministry of Finance, Ministry of Housing and Human Settlement and Central Bank with the support of the World Bank spearheaded the reintroduction of mortgages in Tanzania,” he said. He said through government intervention in the sector, new laws have been enacted such as Mortgage Finance Act, Condominium Act and Liquidity Facility which pave the way for the sustainable development of the housing sector in Tanzania. “We have the objective of supporting financial institutions to do mortgage lending by refinancing primary mortgage lenders portfolios and this type of lending is also known as wholesale or secondary market lending,” he said. Mgaya said the biggest challenge faced by stakeholders in the industry is the introduction of 18% percent of Value Added Tax (VAT). He said the high costs of transfer and delays in the process also make it difficult for house owners to mortgage their houses. This includes a long public and stakeholder’s outcry of widespread land disputes across the country. Mgaya said mortgage loans tenures range from 15 to 20 years compared to five to seven years in the past. 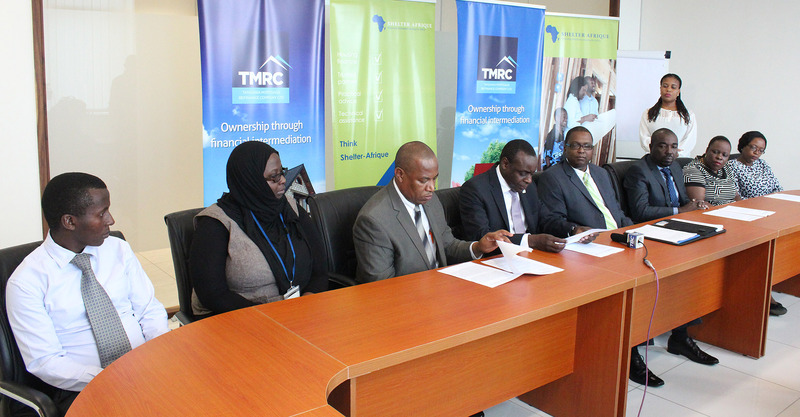 The availability of long term funding from TMRC has also attracted more banks to take up mortgage lending as a result of creating competitive among financial instituions. He said the competition has helped to marginally reduce the interest rates from above 20% to an average 18% according to central bank data and the size of the outstanding mortgage debt grew by 59% last year. He said that the firm comes in at the right time to contribute to the burgeoning housing market.